I’m going to try this as a weekly post to discuss events, decisions, or popular sentiments I don’t understand. 1. I don’t understand how the Miami Heat losing the NBA Championship makes the Heat signing “The Big Three” a failure. Coming into the season the conventional wisdom was that although these three players would be a dominant force in the league, they lacked the depth to win a Championship. The contribution made by the Mavs bench could not be matched by the Heat’s. When LeBron couldn’t get to the rim or get to the free throw line, the team could not make up for the difference in scoring production. Plus any time that Eddie House logs big minutes in an NBA Finals game you know you’re in trouble. Just don’t be surprised when the Heat add a little more depth to the roster and come roaring back next season, to shut up all of the Heat Haters*. *As a side note: Heat Haters basking in the glow of the Heat loss has become intolerable. You are worse than Heat fans. 2. I will never understand why Clint Dempsey tried to dribble the ball into the goal last night in the 76th minute. The run of play was set up by some beautiful passing, particularly the final ball to Dempsey from late substitute Alejandro Bedoya, but when it came to the finish Dempsey dallied and missed a clear opportunity on goal. This is not characteristic of Dempsey who usually displays his lethal finishing touch from just about anywhere within 30 yards and I expect to see him return to form in the coming game against Jamaica. 3. I cannot comprehend why Newcastle United would be willing to sell their captain Kevin Nolan. With the sale of Andy Carroll in January I wrongly figured that Newcastle would use the profits to improve their current squad and secure another mid-table finish in the Premier League, however Nolan’s exit will surely have a negative impact on their standing next season. The move will also likely mean the sale of model citizen of Joey Barton who had pledged to sign an extension pending the contract extension of Nolan. Barton’s twitter feed summed up what a lot of Newcastle fans were feeling “ Just on my way to Ascot, feel sick. Great player, leader, captain, person, trainer, and mostly a friend for life.” Barton’s hashtag used afterwards hinted at more exits from Newcastle including himself, Jose Enrique, and Jonas Gutierrez. 4. 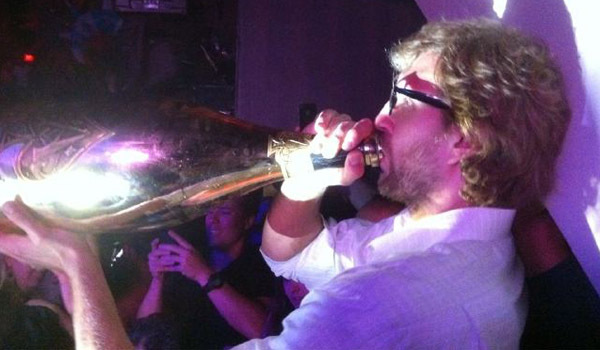 I will never fathom what it feels like to drink champagne that costs $80,000 per bottle, but I’m damn glad that Dirk got to have some. You deserve and earned it big man.